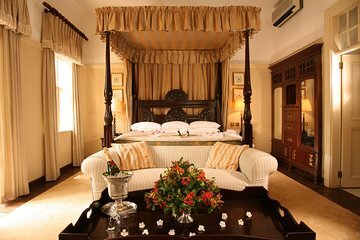 Celebrate your honeymoon beside the thundering Victoria Falls in an intimate suite surrounded by southern Africa nature. With four days in Zimbabwe, you can enjoy a sunset cruise on the Zambezi, guided tours of Victoria Falls, game drives, and encounters with elephants. To top it off, all the logistics are covered so all you have to do is embrace the newlywed experience.